Recently I received a request from The Circuit Rider Magazine to offer my thoughts on the tension in the Methodist Church between Evangelism and Hospitality. I believe some examples will appear in the May/June issue. 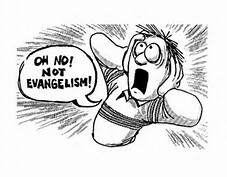 Although in 40 years of ministry (from 1973 to 2013) we have tried renaming and relabeling evangelism, I believe many Methodists fear the word and practice of evangelism. To be fair, we have seen the misuse of tracks and visitation to seek to force people into belief. I remember back in the 1950s in Greensboro North Carolina, there used to be this old man who carried a sign which read “the end is near.” People would be casually walking down the street and he would sneak up behind them and scream at the top of his voice “are you saved?” We might not have been, but we certainly needed to be saved from him, because he scared a lot of people right out of their skin. As a student pastor in rural North Carolina back in the 70s I would lead our small congregation in Sunday afternoon walks through the community. We knew who most of the people were, we had their names on the cards we were carrying. One Sunday afternoon my lay leader and I knocked on Mr. Wilkins front door. Mr. Wilkins was this old farmer type who came to the front door with shotgun in his hand saying: “I told you churchy people to stay off my property. Now you get on out of here before I have to use this gun.” My lay leader and I went back to our car, and filled out Mr. Wilkins card saying we don’t think he’s interested. 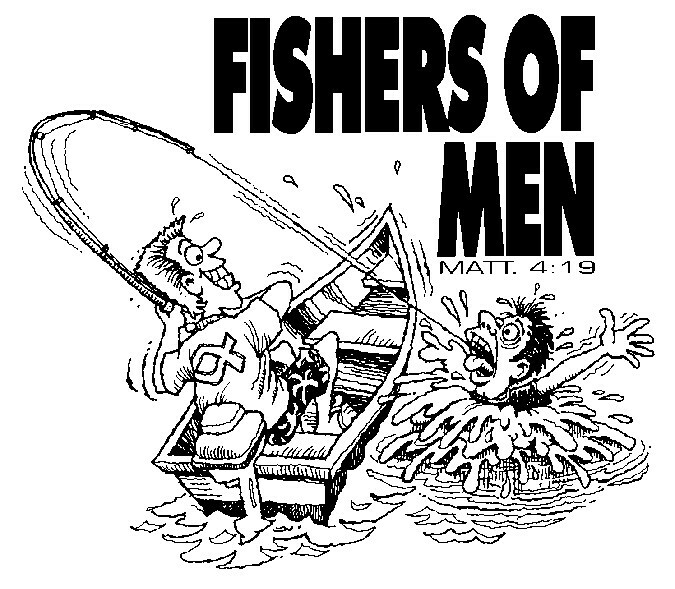 Evangelism was put on the back burner for a few months, while we reevaluated our procedure. This little church that did evangelism also did hospitality but didn’t know it. There was this old man who lived down on the corner from the church. Not much family to speak of – not much else to speak of. He didn’t have anything, except some sort of mental problem. The people in this little church didn’t make judgments. They simply organized ways in which they could make sure he was warm in the winter, comfortable in the summer, had clean clothes and something to eat. They didn’t do that because they needed the new member. They did that because he was one of God’s children who needed help. Today when we hear the term hospitality I still can’t help but think of people sitting around with teacups on their laps in the sacred parlors of churches, or people assigned to welcome you at the front door. Hospitality is thought of as something you do when someone comes to you. I know that’s not what we’re saying it is but that’s the connotation many of us have. I believe we are still confused about hospitality – radically caring for people – so much so that we go out to help them even before they realize they may have a need for the grace we represent. We are not going out to HOOK them. We are going out to show them the love of Jesus Christ without judgment. And in so doing we make the pathway back to the church much easier. (Sorry about earlier errors… I am using voice recognition software and it adds some really crazy words). If I only had the mind sharp enough to find all those errors. I will do better in the future.